The post-doctoral positions of WCMCS are awarded in the Spring (mid-February through mid-March). The winners are employed at MIMUW or IMPAN as adiunkt (professor assistant). PhD Internships are awarded twice a year; the calls are announced in the Spring (mid-March through mid-April) and in the Fall (mid-October through mid-November). Each year ten students' internship are awarded to the outstanding students of the MSc program at MIMUW.  WCMCS Fellowships are awarded to the outstanding students of the PhD program at IMPAN and MIMUW.